Want to explore some of Vietnam’s unique food offerings? Than you’ll love this guest post from Graham and Charlie of Undiscovered Guide! 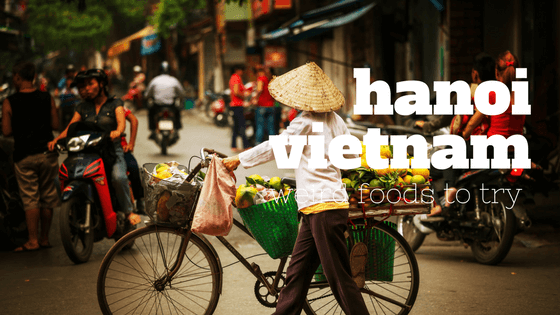 Hanoi is famous around the world for its awesome street food, from banh mi to bun cha and spring rolls. And rightly so – Hanoi’s street food is just delicious. However, there are a few food on offer that might be a little, erm, odd, to the western palate. I’m not gonna lie, we haven’t had the stomach to try ALL of these. Yet. We’re working on it. If you’re after something a little more on the wild side than a bowl of chicken pho, you’ve come to the right place. You might have heard of Hanoi’s famous egg coffee (“cafe trung”), but did you know about the beer option? 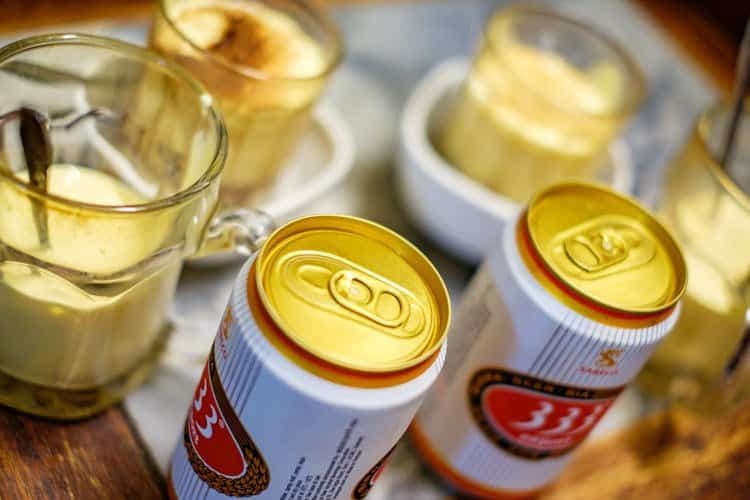 We’ve only found it at the famous Giang Cafe, where they serve a can of 333 beer and a glass with the same meringue type mix that is used in egg coffee. Just pour in the beer and you’re good to go. Although the sweet egg-based concoction might not be the obvious choice to mix with a beer, it is surprisingly tasty. It’s also very rich, so you won’t be drinking glass after glass, but it is nice to try. They also serve the same mix with rum, which is really good too. This is one we have firmly noped out of trying. However, we know plenty of people made of stronger stuff than we are, who have shared their stories with us. There is an area just out of Hanoi called “Snake Village”. It is here that you can choose the live snake – often a cobra – you would like to eat for dinner. The restaurant will then give each member of your party a shot of the snake’s blood cut with some rice wine – and one lucky person’s glass will contain the snake’s still-beating heart. The snake is then fried up and served in a variety of traditional ways. You can also try a shot of snake rice wine (a large bottle of rice wine that a snake’s been left to slowly ferment in) whilst you wait on your meal. The snake wine is believed to have a number of medicinal qualities, and to also work as an aphrodisiac. 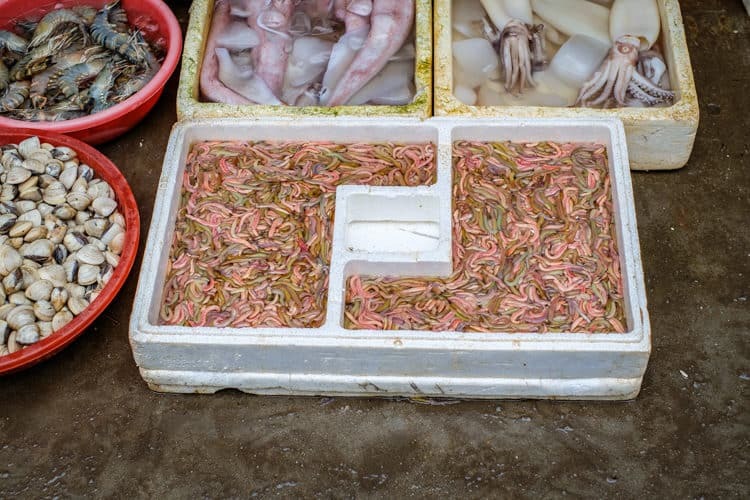 Another food that is firmly embedded into our “nope” list can be found at the night market: fresh ragworm cake. The little guys are kept live in a container, wriggling around next to the gas burner, which will be their doom when someone orders one. They are fried fresh with a mix of worms, dill, spices and mandarin peel – and the whole worms are very visible in the finished pancake. The interesting thing about Ga Tan, a slightly medicinal-tasting poussin soup, is that the bird is typically cooked in an old soda can. You can find in Hanoi’s Old Quarter the odd sight of trays of Coca Cola cans slowly steaming over a small charcoal fire on the street, with little chicken feet sticking out of the top. 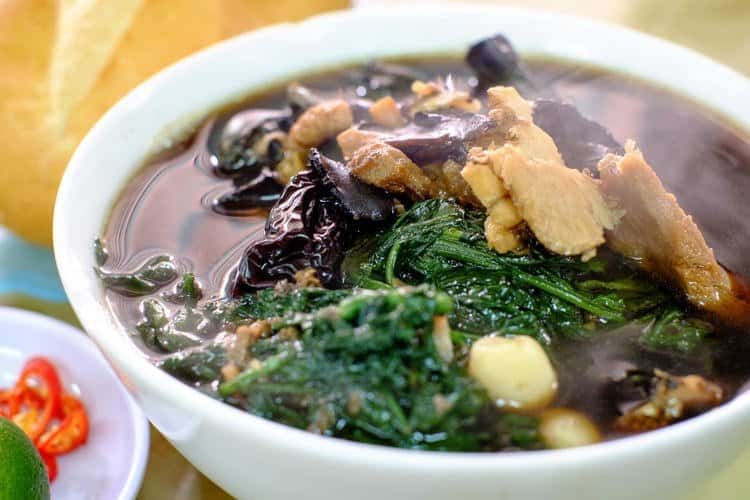 The dark, nearly black, soup isn’t very photogenic, particularly as it often contains the entire bird – beak, feet and all. But it’s surprisingly tasty, and supposedly good for whatever ails you. Hanoi is full of delicious foods, some more suitable for the sensitive stomach than others. Would you try any on this list? 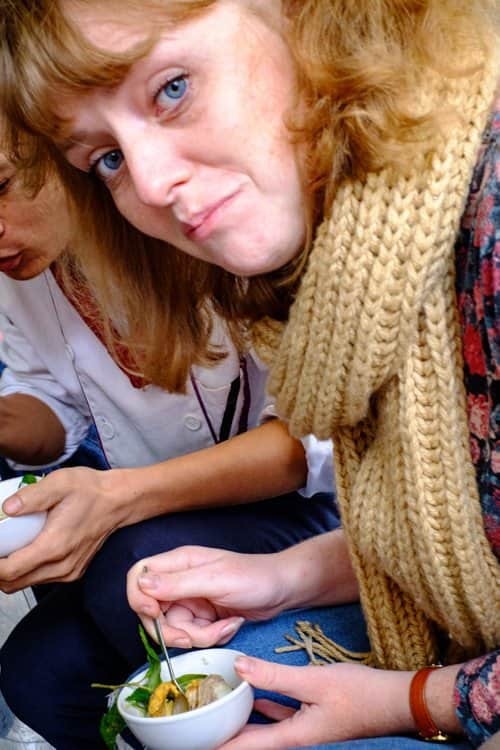 Biography: Charlie Metcalfe is a blogger, explorer and teacher that left her home country of England in 2013, along with partner in crime Graham, to explore the world. Since then they have travelled to 15 countries, and currently live in Hanoi. You can find out more about their travels and get advice for your own on their blog www.undiscoveredguide.com, or follow along on Instagram.